While bottomfishing outside Miloli'i, William Puou took a strike on his electric Penn 130 loaded with 200-lb test line. 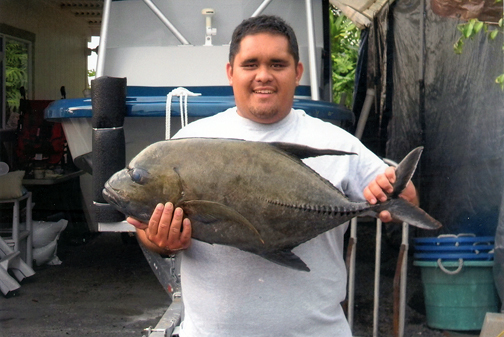 A unique fish, the black ulua, had taken William's 'opelu bait in 80 fathoms of water. William hauled the fish aboard and added a state record to his family's fishing legacy.